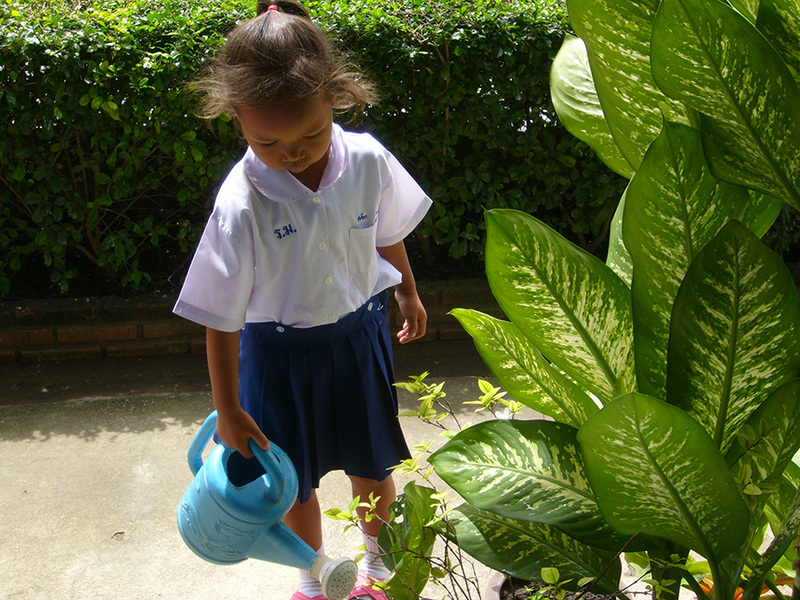 The Association Montessori Internationale has partnered with the Montessori Association of Thailand and the Thai government Office of Basic Education to provide Montessori education in a growing number of public schools in Thailand. Since 2004, over 82 primary programmes have been estblished and 300 educators have been trained. Quality is assured through AMI training and support and the rigorous collection of data to demonstrate outcomes. 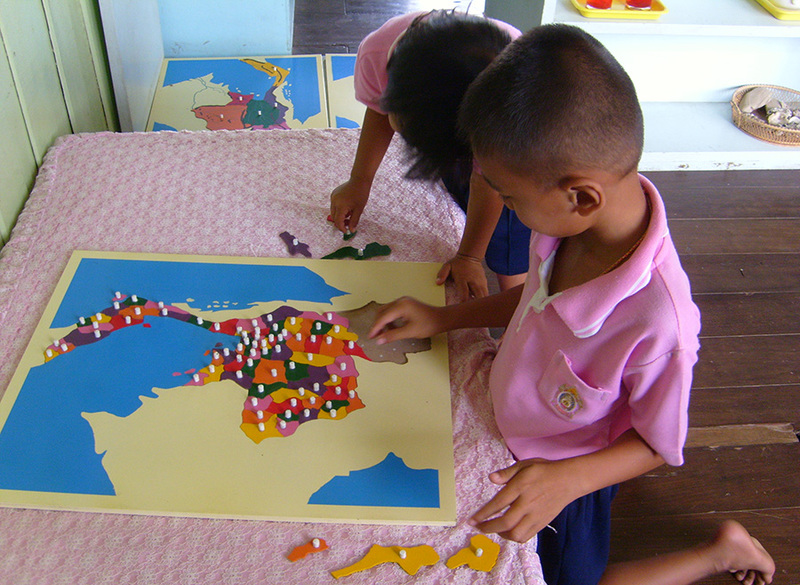 Thailand has undergone significant educational reform since passage of the Reform Act of 1999. Montessori education was studied and introduced as a pilot programme for the development of the child’s potential in 7 small government schools in 2004. The next year, 60 Thai officials and private educators attended the 25th International Montessori Congress in Sydney, Australia, followed immediately by a visit from AMI President, André Roberfroid to Thailand. 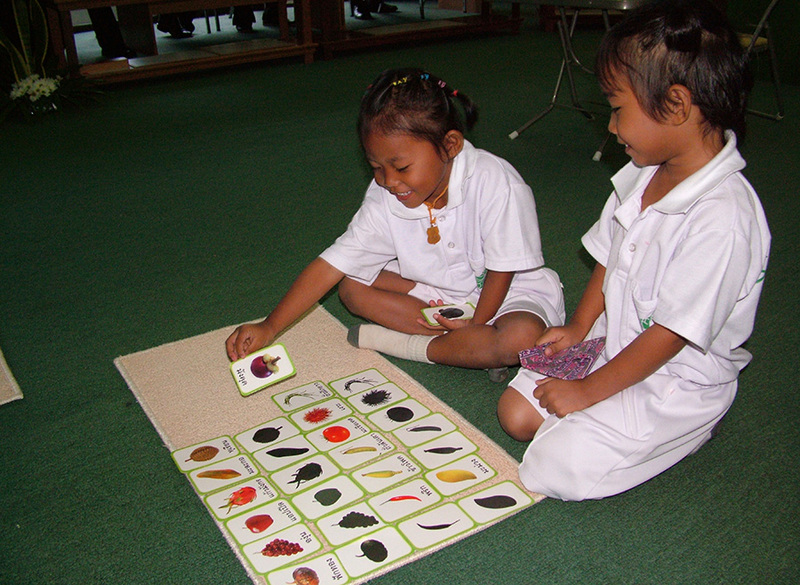 By the end of 2007, 65 Montessori primary environments were opened. As the first training course concluded, an Orientation for Education Administrators on Quality Montessori Implementation was held and a formal Framework for Cooperation on Implementation of Montessori Education in Thailand signed. The first National Montessori Conference, Nurture the Child and Advance the Nation, was held in 2010 concluding with the graduation ceremony of the 2nd AMI Primary course. The conference ignited wide public interest in the Montessori movement with HRH Princess Srirasmi Royal Consort of HRH Crown Prince of Thailand and their son HRH Prince Dipangkorn Rasmijot officially opening the conference and acknowledging all those who had contributed to the establishment of Montessori in Thailand. There are 75 students in the current 3-6 teacher training course due to finish in the second half of 2018. Among the students studying in this course are 20 educators from the government system of children's orphanages and a large contingent of government school teachers. Connected to this course is the group of trained educators embarking on the first Professional Development and Training of Trainers Seminar programme being led by US trainer Shannon Helfrich. After piloting the first AMI Montessori Administrator's course in Thailand between 2012 - 2015, a second administrators course will take place in January 2018. The course is now a recognised AMI certificate course for administrators and will be delivered by a team of faculty from Thailand and overseas. Participants will be drawn from the government school sector, private schools and government-run orphanages. Table2. 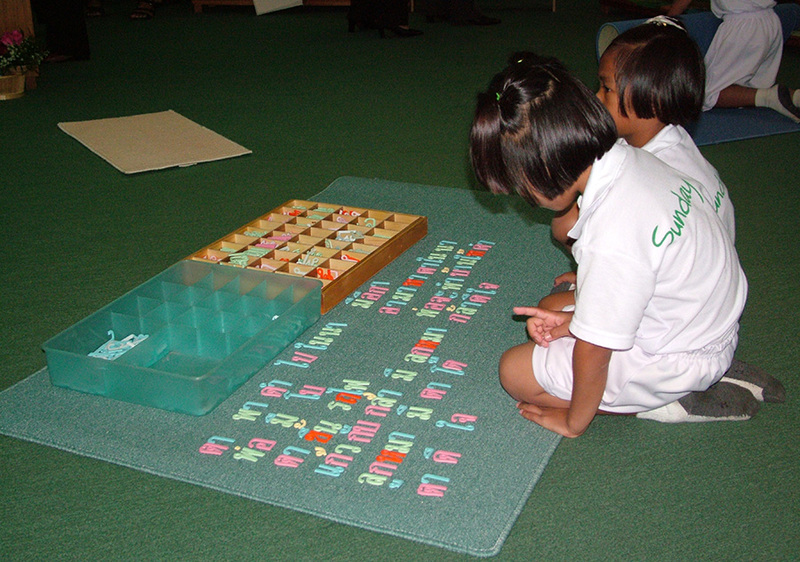 The scores on language development showed Montessori children could write the names associated to the picture correctly with the highest score of 7-8 words (78.3%) and every child could write. The children who were developed by the 6 Group Activities Techniques, 40.3 % scored at 1-2 words and 33 children could not write (11%).